The Knicks failed to bring their series with the Pacers back to MSG for a Game 7 and the Rangers are down 0-2, but the Yankees continue to successfully play past their injuries. After shutting out Toronto on Friday the Yankees went to work in the early going of Game 2 on Saturday to maintain their lead over the division. An RBI single courtesy of Bret Gardner and subsequent homerun off the bat of Robinson Cano in the third inning put New York up 3-0. Though that would prove enough offense to ultimately take the game, Cano smacked in a 2-run homer in the fifth and Hafner did the same in the eighth to give the team a 7-2 victory and David Phelps his second win. Game 3 with the Blue Jays on Sunday was rained out, giving the Yanks a day of rest before traveling to Camden Yards for another round of ball within their own division. The Orioles proved a much greater challenge, as they responded to Cano’s homerun in the first and Adams’ blast in the second with a homer of their own in the bottom of the second and RBI single in the fifth to tie the game 2-2. After Overbay’s solo shot in the seventh put the Yankees back on top, Baltimore took the lead with two runs in the bottom of the same inning. Travis Hafner homered in the ninth to tie the game at 4 and force extra innings, during which the Bronx Bombers earned a couple runs without the benefit of the long-ball. Vernon Wells’ ground-rule double brought Ichiro Suzuki home, and Hafner earned himself another RBI with a single that allowed Wells to score. Mariano Rivera took the field in the bottom of the tenth to earn his 17th save of the season. Still atop the AL East by 1.5 games, the Yankees will try to maintain their lead over Boston and Baltimore when they meet the Orioles for Game 2 at 7:05 PM tonight. Jeremy Hefner fell to 0-5 on the year when the Cubs hit him for 4 runs in the fourth inning on Saturday. The bullpen fared little better, with his replacement allowing a run in the fifth and Chicago knocking in 3 more in the eighth. The Mets were shutout until the ninth inning, when an Ankiel homer drove in 2 runs to slightly narrow the margin of defeat; New York lost 8-2. Dillon Gee allowed 3 runs on a pair of homers in the fifth and sixth innings during Sunday’s rubber game, but he would not factor into the decision. Wright put the Mets on the board in the sixth and a 2-run homer off the bat of Lagares in the seventh tied the game at 3. Daniel Murphy smacked in his fourth homerun of the year in the eighth to put New York ahead 4-3, making way for Parnell’s 6th save as the Mets took the series. Last night’s series opener against the Reds began poorly for the Mets as Cincinnati drove in 3 runs in the first inning, but Marlon Byrd’s homer in the third tied the game 3-3. The only offensive production that Citifield saw for the rest of the night, however, came in the sixth when Jay Bruce’s solo shot put the home team down 4-3. That score held as the Mets went on to lose. Game 2 with the Reds will be played at 7:10 PM tonight. Having lost Game 1 against the Bruins in an OT battle that lasted nearly 16 minutes, the Rangers found themselves in much worse position late in Game 2 on Sunday. Callahan’s goal 8 minutes into the first tied the game at 1 apiece, where it would remain for the rest of the period. Boston established a short-lived 2-1 lead early in the second, which Rick Nash responded to less than a minute after the Bruins goal to again tie the game; unfortunately that would be the last New York goal of the night. The Bruins went ahead 3-2 nine minutes later, and tacked on a couple extra goals in the third for good measure. Lundqvist stopped 27 of 32 shots in the 5-2 loss. With that defeat, the Rangers now trail Boston 0-2 in the second round of the playoffs. All hope is not lost—they did fall behind Washington by 2 games in the first round—but it will take a tremendous effort to take 4 of the next 6 games should New York even be able to extend the series that far. They will try to take the first step toward evening the series at 7:30 PM tonight. The Knicks were hoping to extend their season by yet one more game on Saturday, but to do so they would have to beat the Pacers in Indiana, which neither they nor the Hawks could accomplish this postseason. Both teams put up a little more offense during the first quarter than had been seen in recent games, but Indiana held New York to just 20 in the second as they went ahead 55-47 before the half. Melo and the Knicks battled back in the third, outscoring the Pacers to even things up several times and enter the final quarter tied at 81, but NY could not close the deal. Indiana took control again and ended the game, as well as the Knicks’ season, by a score of 106-99. Carmelo Anthony was the most productive he has been in some time, putting up 39 points on 15 of 29 from the field in the Game 6 loss. Shumpert backed him up with 19, and JR Smith posted a double-double on 15 points and 10 rebounds. With the loss the Knicks will spend the rest of the playoffs at home as spectators, looking forward to the 2013-14 regular season’s start in autumn. 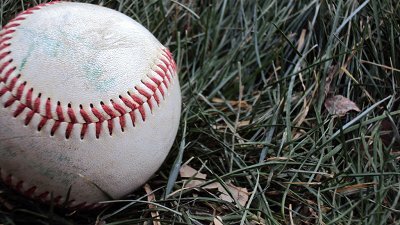 Subject: LongIsland.com - Your Name sent you Article details of "Knicks’ Season Ends, Rangers in Trouble, Yankees Stay Strong, Mets Still Struggle"